We did use 2 Standing Lights ( did come out with new patch) and we did push them with the Decoration Tool into the Ground in the middle of the Stone Fireplace and also use 1 extra chopped Wood to hide them and make the Fire look bigger. P.S: if you are wondering how you can manage to get into that relaxing sitting position on the pillow. 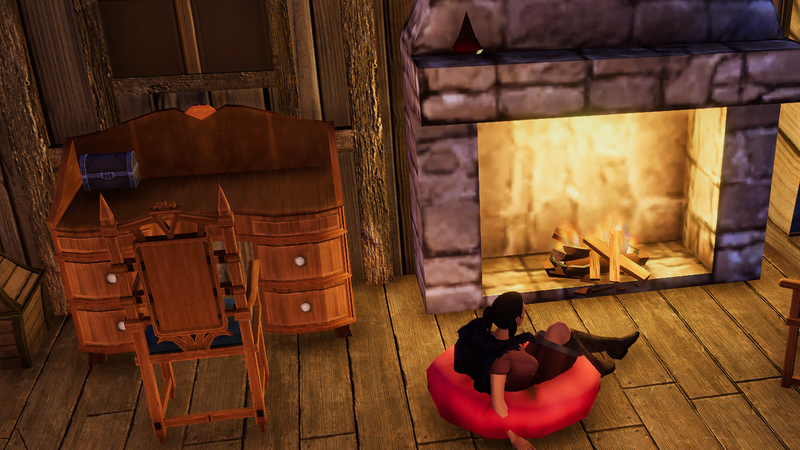 It is sad that currently the pillow has a normal "sit on chair" animation attached to it. So you you need to place a camp fire you can make with kindle and if you wait you will sit down relaxed like this. Then destroy the camp fire and as long as you not move you will remain relaxed. 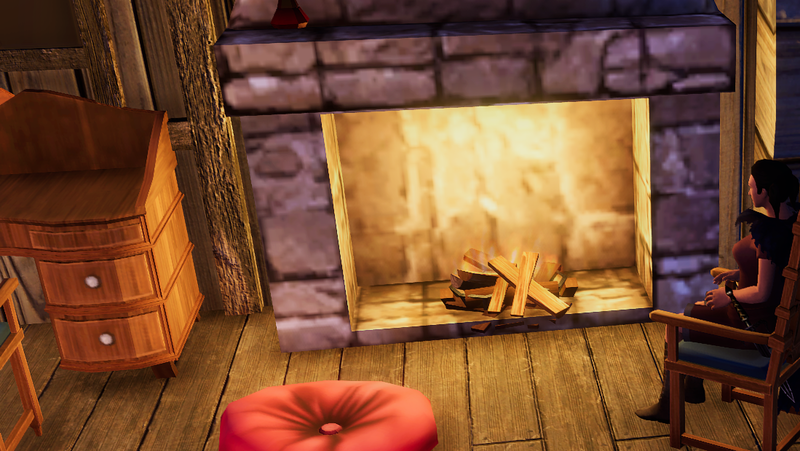 much more nicer camp fire sitting animation. I am pretty sure most will but those pillows on ground.